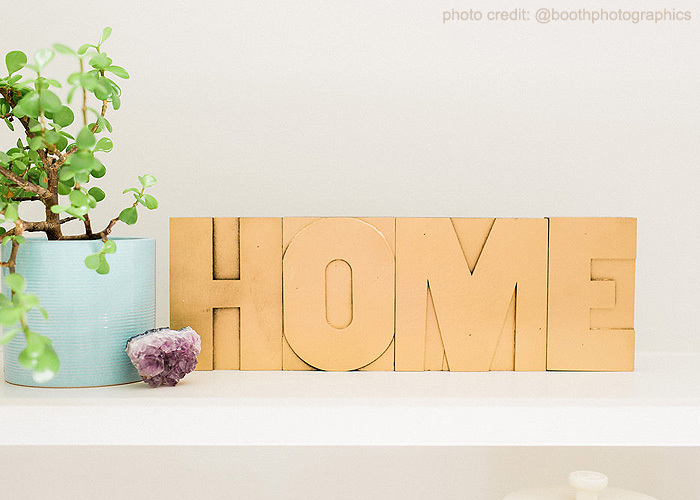 This is "HOME" decor at its finest! 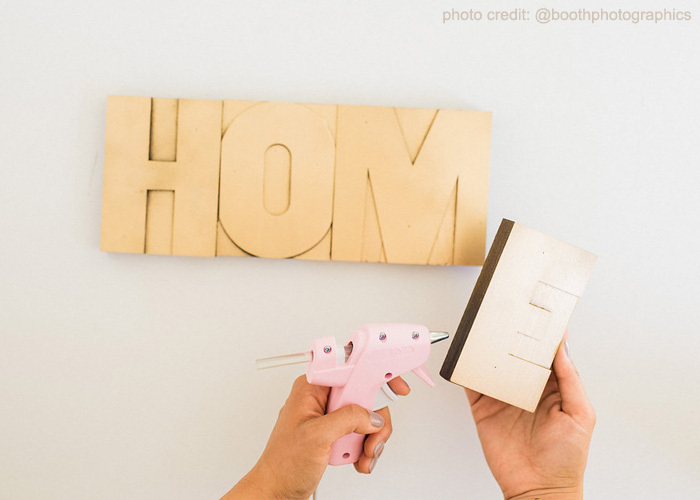 Browse the photos below for an easy decor DIY project. Many thanks to the beautiful ladies at Mint and Lovely for the creative project and beautiful photography. Photo credit goes to Booth Photograhics in Madison, Wisconsin. 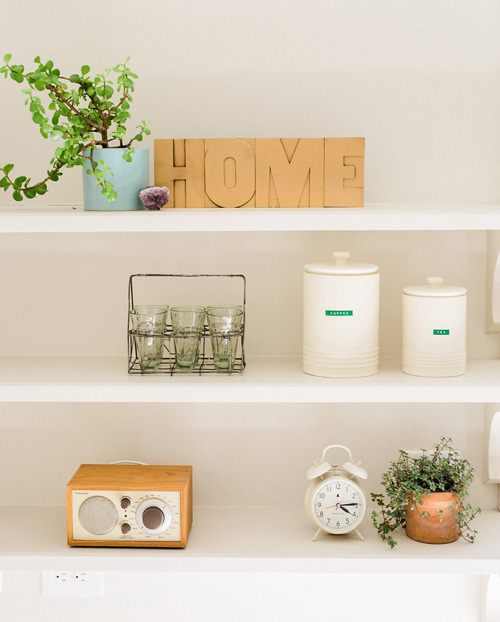 Lovely shelf decor DIY - It doesn't get much simpler than this! GATHER - Just 3 supplies to gather! 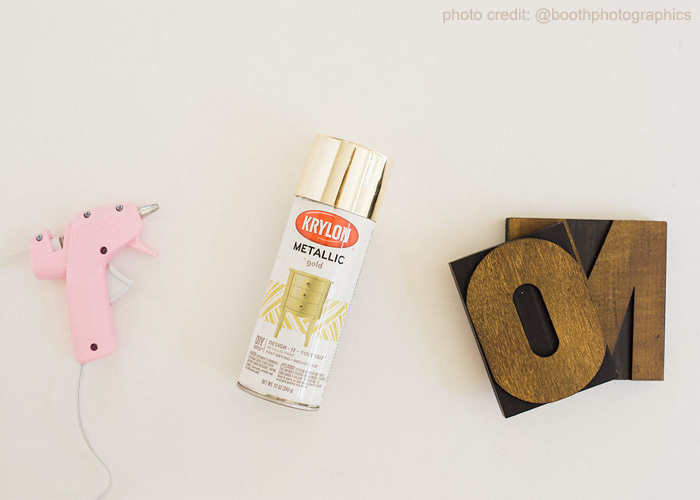 SPRAY - I love the choice of shiny gold spray paint for this project. So classy! 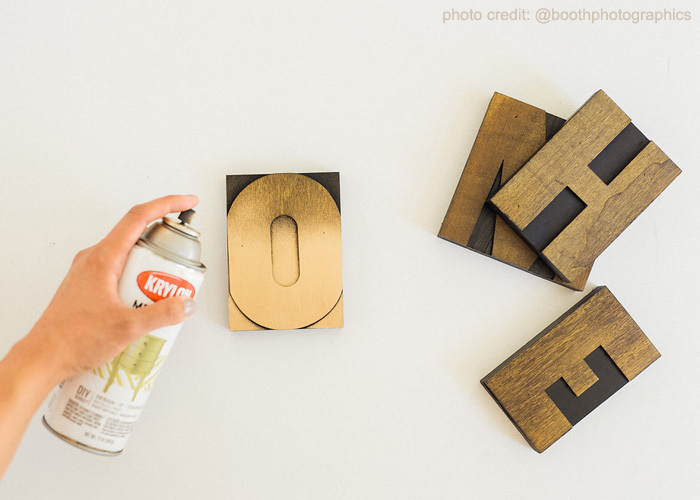 GLUE - Use a hot glue gun to transform your four letters into one "solid gold" piece of shelf decor. PLACE IT - Find the perfect spot for your masterpiece.